For those that know Randy Howell, they know him as a very generous and kind, faith filled fisherman. We recently had the chance to find out a bit more from Robin Howell, about why he donates his boat every year while he was out filming for the end of the season. 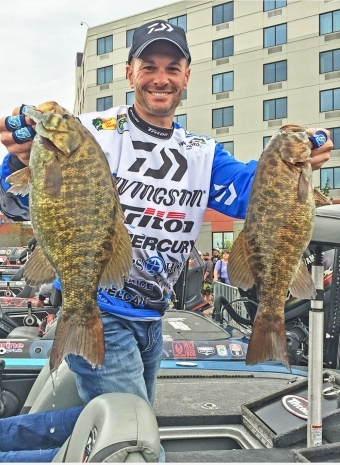 The Rod Glove Pro Bass Elite Randy Howell donates his fully loaded Triton each year to King's Home and volunteers his time, let's find out why. Robin explained that "Randy became involved when the Bassmaster Classic was in Birmingham about 6 years ago and the King’s Home wanted a fisherman to volunteer their time to come and teach the boys camp about fishing. Randy volunteered and the rest is history. His heart was touched and they found a way to join forces to in turn make King’s Home's name a nationally recognized name among the fishing community". King's Home is a faith based organization in Alabama that help at risk kids who are abused, neglected, or abandoned. They help to train kids to be amazing citizens where otherwise they wouldn't be taught the skills to function in society. Below is a video from Randy telling us all about the giveaway and King's Home.